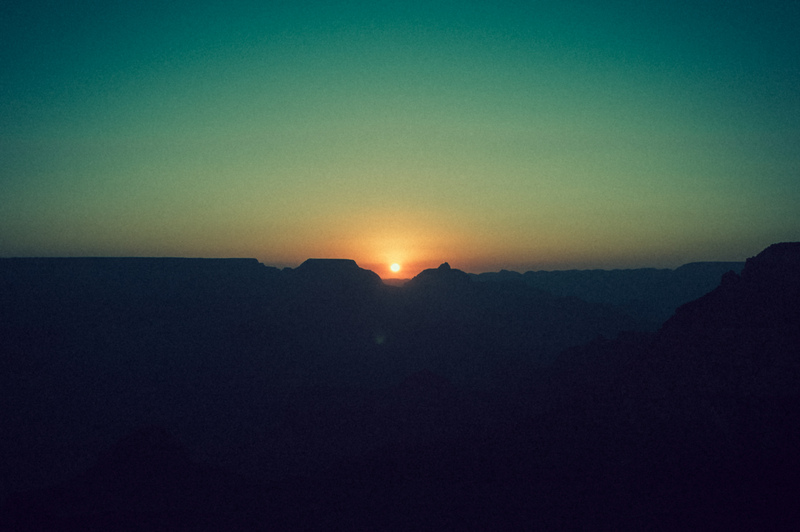 A photo of the rising sun over Grand Canyon. Made the very first time I was there, way back in 2007. But an experience I’ll never forget, I arrived during the night, and just went to sleep, to be fresh and ready at sun up. It was so awesome, standing there not know what the canyon looked like – only see it through other photo – and then getting it reviled gradually while the sun was getting up. I added the grain and vintage look in post. My First Grand Canyon Sunrise by Bo47 is licensed under a Creative Commons Attribution-NonCommercial-NoDerivatives 4.0 International License.